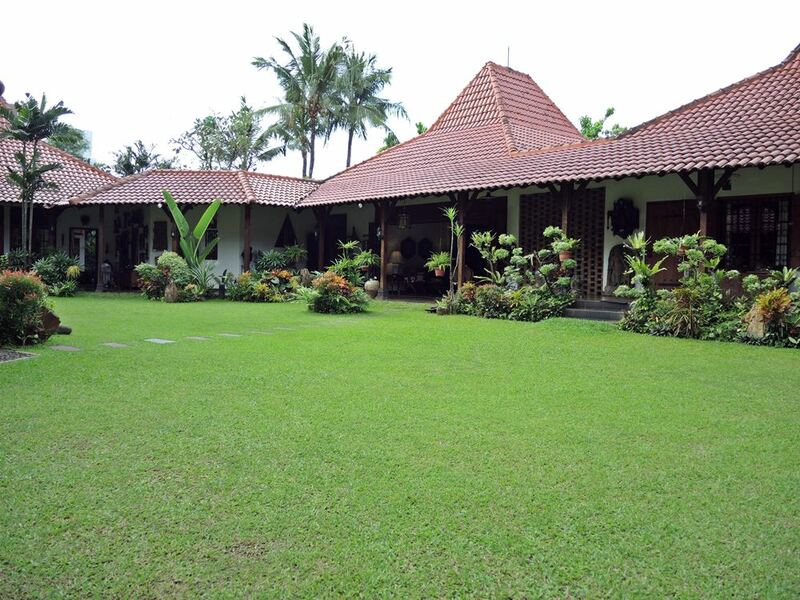 What is in your mind if you hear “Museum di Tengah Kebun” or Museum in The Middle of Garden”? Weird? Curious? I felt so curious when heard its name. What kind of museum is it, as I browsed from internet and found some articles telling about this museum. My first visit to this museum which I did 2 months ago was really awesome. A guy with white shirt and black trousers greet me at gate, it was just me, none of 10 people who will come has been showed up. I talked a bit with him, some basic questions I threw, like who own this museum, how big is it, what’s inside, he gave some brief explanation which literally make me more curious. Few minutes later, some pals came, then we walked through first wooden gate decorated with hanging masks. We have to walk 60 meters or 100 steps until we arrive at museum’s lobby. Pak Mirza Djalil, greet us, he’s nephew of museum’s owner, Pak Sjahrial Djalil, Pak Mirza also will guide us showing around museum. As he said, he has working as guide for 1 year, and it not that easy to get this job, although he’s nephew of the owner. He had to do some interviews and tests. Pak Mirza hold a book, it explain about all stuffs in the museum also the history. Before we were entering the house, Pak Mirza explain about museum history, which was opened for public in 2009. 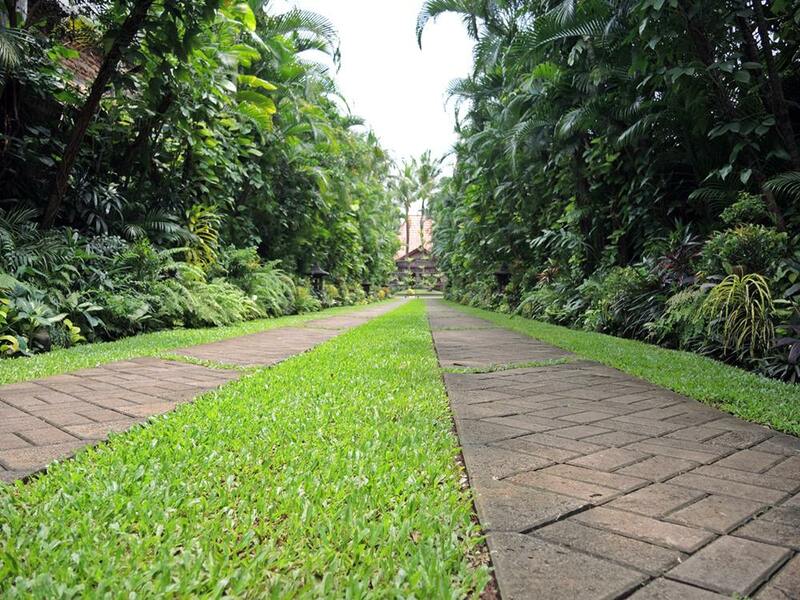 Museum stands in land of 4,200 meters, 700 sqm width is house building, while the rest is beautiful garden. “This museum was built with love. 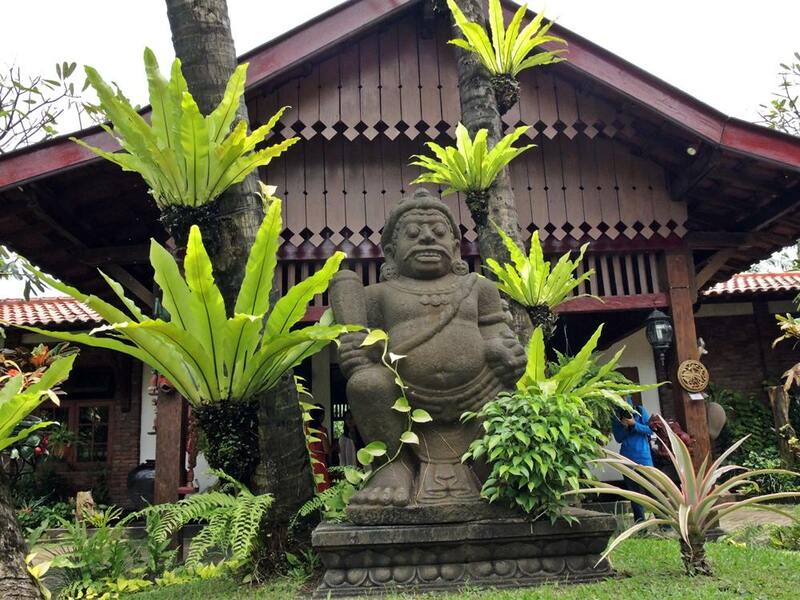 Pak Djalil was starting to collect antique items since 42 years ago. There are more than 4,000 items, but only 2,000 items displayed in museum. From 67 countries including 20 provinces in Indonesia” he said. Before we were entering house, we have to use sandals which already provide by museum. It to keep museum clean, because the owner still live in museum. Also we gonna step on some carpets. First room is Loro Blonyo, because there’s Loro Bronyo statue in the corner of the room. We had to put our belongings here, and it’s not allowed to take pictures inside the house. “Pictures only lead to robbery”, Pak Mirza replied when I asked the reason. Then we entered second room, which is spacious living room. It display some antiques sofa from 19th century, carpets, big cupboard made by prisoner during Dutch invasion in Indonesia, some paintings. Pak Mirza then brough us to dining room, a big rectangle dining table made from teak and set of chairs from Denmark. “Pak Djalil still use this room for dine”, Pak Mirza explained. Moreover we went to kitchen, clean and tidy. 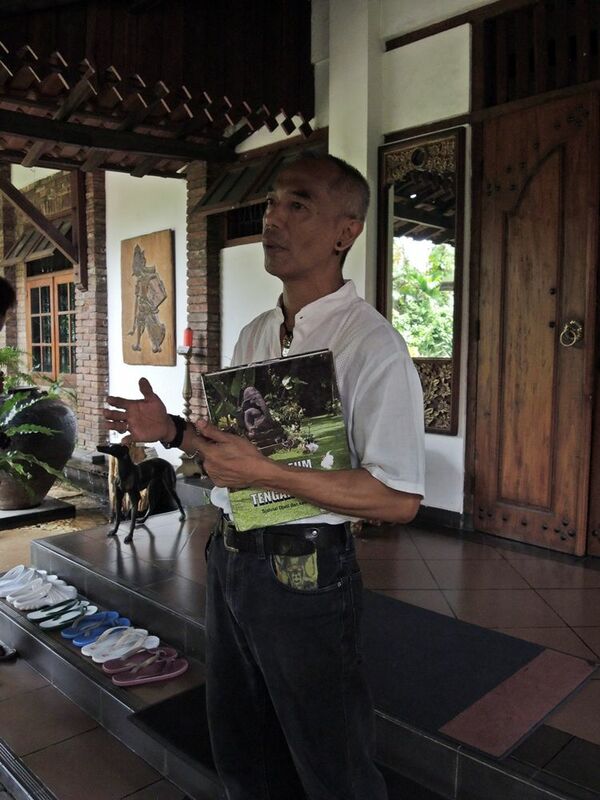 Seems Pak Djalil is very tidy person and like everything set in place. We moved to Pak Djalil working room, classical music heard from his working room, at first I thought it was from gramophone or antiques music player, but it wasn’t. It was coming from 21 century music player. LOL. Not everything in this house is antique. Some big and old cupboard were standing here, inside cupboard are some books and small collections. 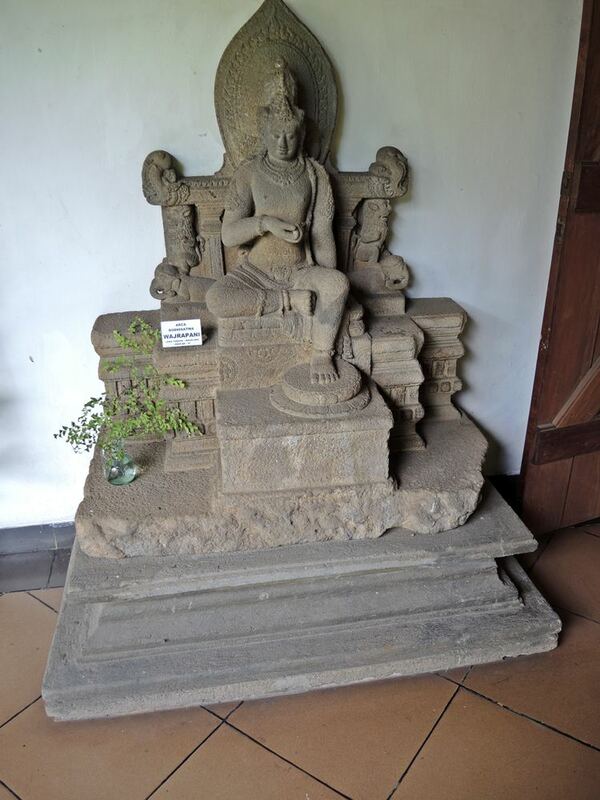 I noticed that an old small statue from Sumbawa which still mystery up now, this statue still can not confirmed come from which century. The face is looks like mummy in Africa, and also color is similar like statue from Africa. Then we entered Pak Djalil’s bed room, yes the real bed room. He lets visitor come to see his bed room. I easily find big Catholic cross, face of Budha statue, tasbih, and peci. The last two words I mentioned are Moslem stuff. We’re confuse, is he a Moslem or? In fact he’s a Moslem, but very open-minded. The most incredible part of this house for me is bathroom. 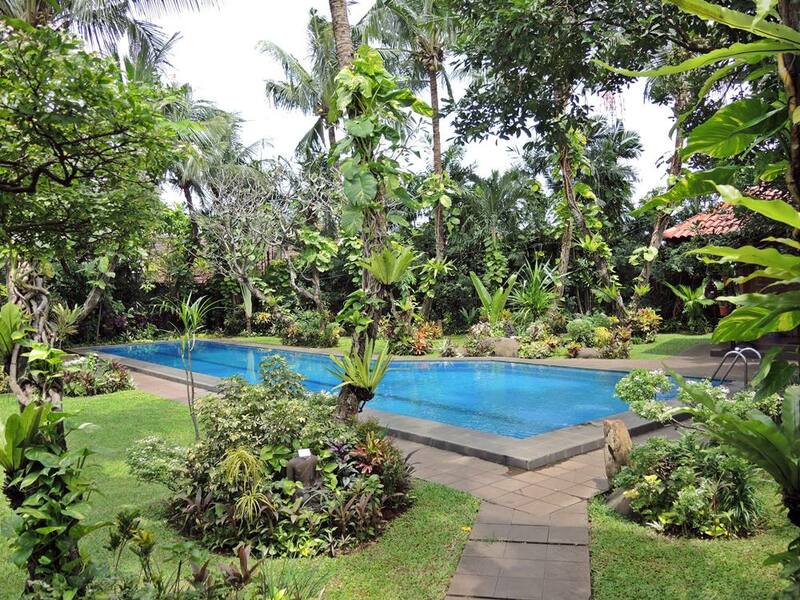 Width 119 sqm, has a bathtub, a toilet room, a shower room, and really big cupboard, you even can sleep inside bathroom. Pak Djalil only use bathtub 6 times in 32 years, he concerns about water, better use water for flushing plants than using it for filling bathtub he reasoned. 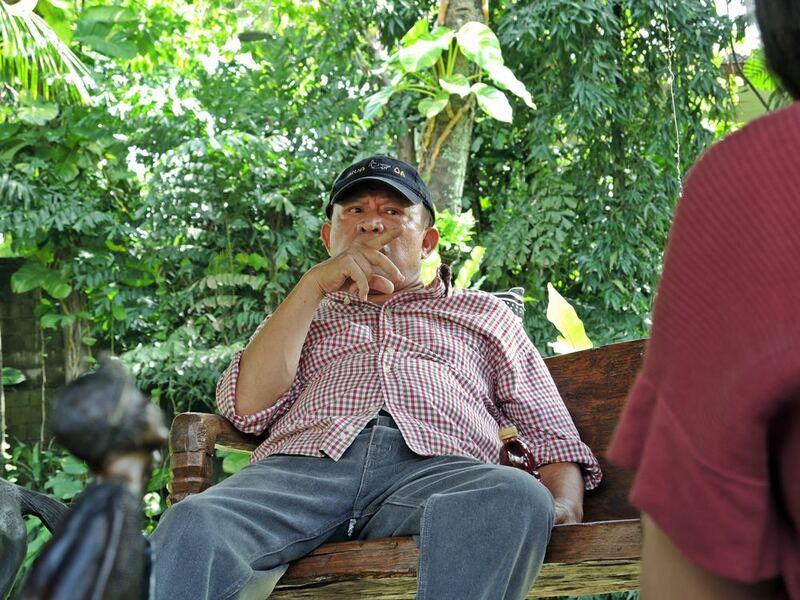 After every corners of house been visited, then we sat at gazebo and talked with Pak Djalil. Good opportunities to know him more, it was on my mind to ask what was his motivation collecting this stuff, how did he got money to bought it, why he decides to give free admission for visitor (I’ll pay even tough he charges 50k for a visit), and so on. Oh well, I already guess that it will amuse me after all. He talked a lot, many things, his voice still has charismatic, even for 72 years old man. I recommend you to take a visit here, none worthless, it worth every second you spend there. Minimum is 7 participant in 1 group, maximum is 10 participant. 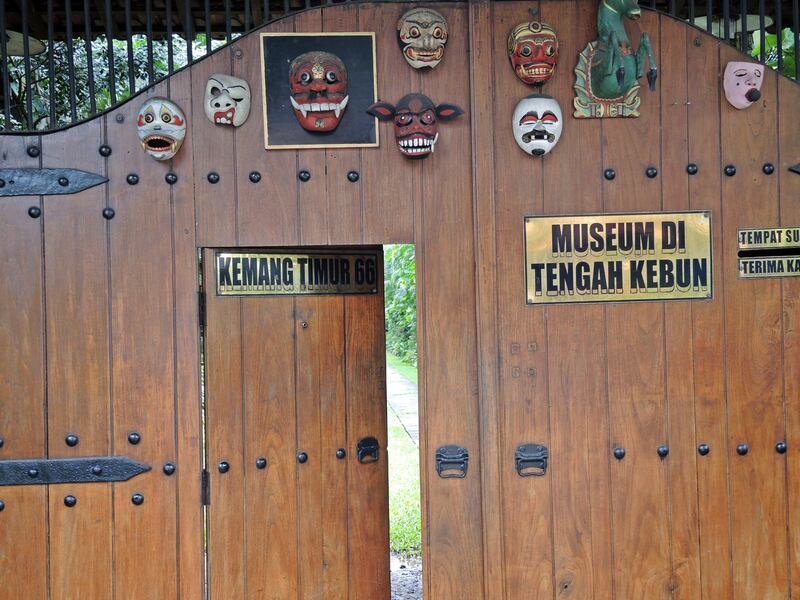 Museum Di Tengah Kebun open every Wednesday, Thursday, Saturday, and Sunday. From 9am to 3pm. Book reservation is mandatory, call to 021-7196907/087782387666 or email to mirzadjalil@yahoo.com. Museum tour duration is 2,5 hours. Set your time free and enjoy every corner of museum. If you bring motorcycle, you can park in front of gate. Car parking is not available, so park your car in front of mosque opposite the museum.